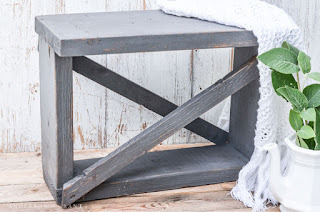 distressed farmhouse style piece of furniture. 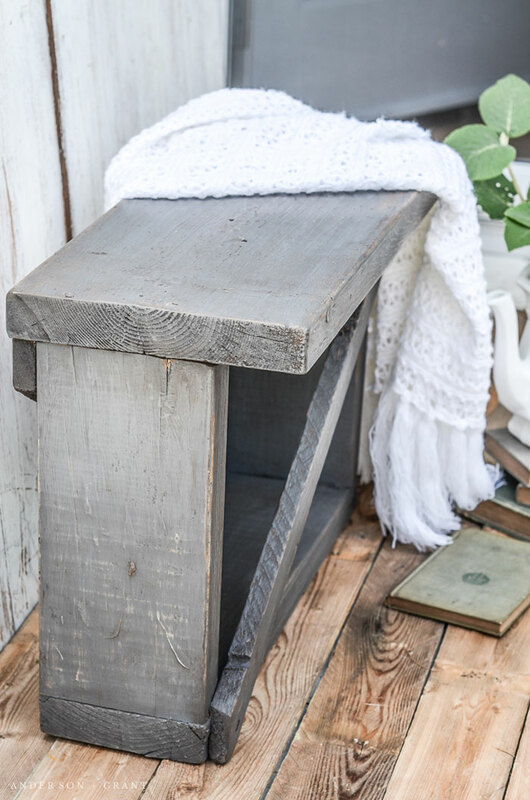 If you enjoy hunting for worn out furniture to refurbish, it can be tempting to look just for pieces that have built in character like turned legs or fancy trim. 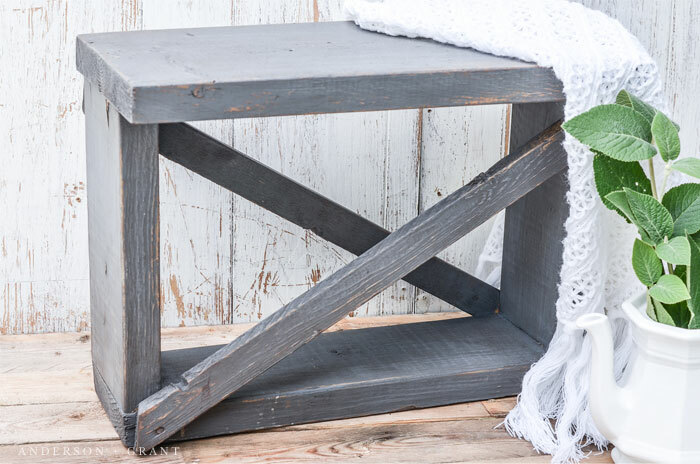 You know that those details will always look great when painted and distressed. All that piece of furniture needs is a little love and updating to look special once again. But, furniture like that can be hard to find, especially at a reasonable price because it is what everyone is looking for. 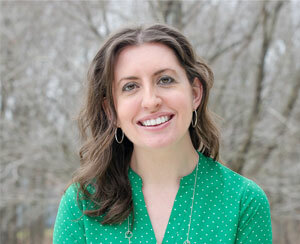 Sometimes, though, basic pieces can turn out equally as charming and can cost much less. This bench started out as ordinary boards likely leftover from a carpenter's building project. 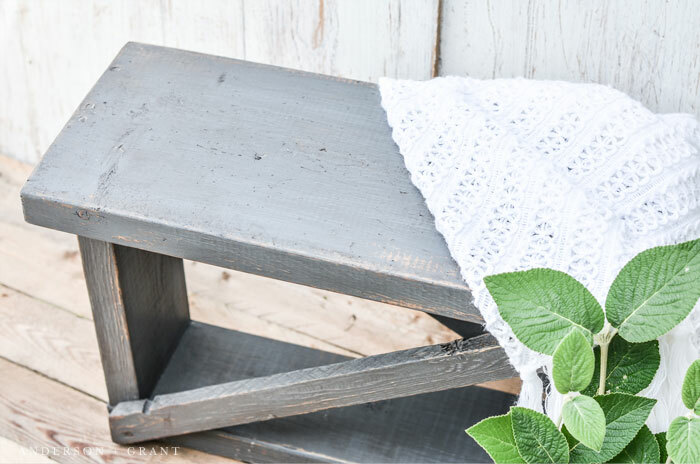 But with a little paint (Soapstone from Fusion Mineral Paint), antiquing wax (Miss Mustard Seed's ) and a "secret" distressing technique, this boring unpainted bench became special. It is easy to overlook something small like this that doesn't immediately have that wow factor. But these are the types of accessories that can really complete a corner of a room or a vignette. Decorating is all about the final touches like a little bench, a thrift store cloche, or a painted bowl. Anyone can fill a room with furniture, but what you choose to finish off your space with will determine the style and how homey and complete your decor will be. 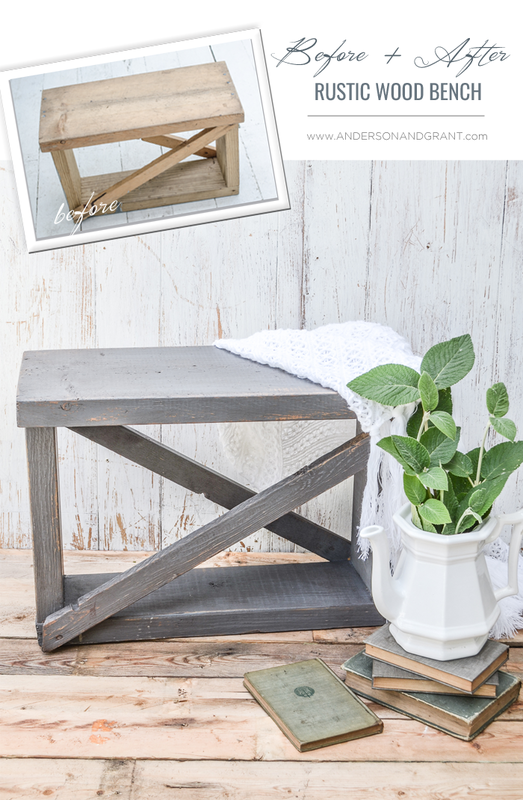 I had the privilege to share this furniture transformation over at my good friend Andrea's blog, The Cottage Market. You can find the full before and after there, as well as that "secret" technique that I've started using to get a completely aged finish to my furniture. It is one of those tips that will make you wonder why you haven't always been taking this extra step or why you never thought of it yourself.